The news that GW Pharmaceuticals PLC (ADR) (NASDAQ:GWPH) will soon see Epidiolex, the company’s experimental drug that treats epilepsy, is fantastic in and of itself. However, I also believe that the expected approval of the GW Pharma CBD drug by the FDA later this month is another big step in the outright legalization of marijuana by the federal government. Here’s why Epidiolex’s approval should matter to everyone participating in the burgeoning cannabis industry and not just GWPH shareholders. The biggest problem facing the cannabis industry at the moment as it pertains to Cannabidiol (CBD), the main ingredient of Epidiolex, is that hemp-derived CBD is technically considered legal throughout the U.S. as a result of the Agricultural Act of 2014 and exempted from Drug Enforcement Administration (DEA) regulation under a 2006 law, while marijuana-derived CBD is only legal in 30 states and Washington, D.C. So, while hemp-based CBD products are busy rolling out across the country, marijuana-based CBD would still be illegal in a number of states. The problem with hemp-based CBD avoiding regulatory oversight is that it results in questionable operating practices from some manufacturers. Once Epidiolex is approved by the FDA, the Drug Enforcement Administration (DEA) has 90 days to shift CBD from a Schedule 1 drug to a Schedule 2 or 3 drug. At that point, all CBD manufacturers would have to be registered with the DEA. As a result, it’s likely CBD legality at the federal level would happen sooner rather than later. And yet, as it stands now, marijuana and marijuana-based CBDs remain illegal at the federal level. I believe President Trump will do the right thing and support a new bill that proposes returning decision-making on marijuana to the states while ultimately pushing for the federal legalization of marijuana. It just makes too much sense because right now, despite the progress made at the state level, the playing field is anything but fair. If the president’s goal is to create jobs in America, legalizing the recreational use of marijuana at the federal level, would do just that. In the meantime, if you own GWPH stock, you’ve got a lot to look forward to in the second half of the year. 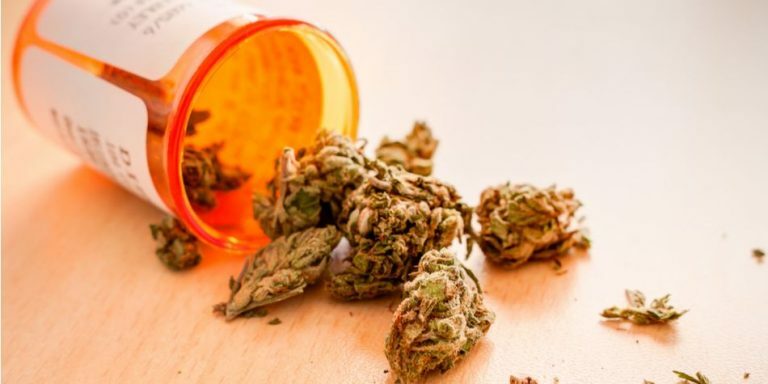 Article printed from InvestorPlace Media, https://investorplace.com/2018/06/gw-pharmaceuticals-new-drug-is-a-step-toward-marijuana-legalization/.